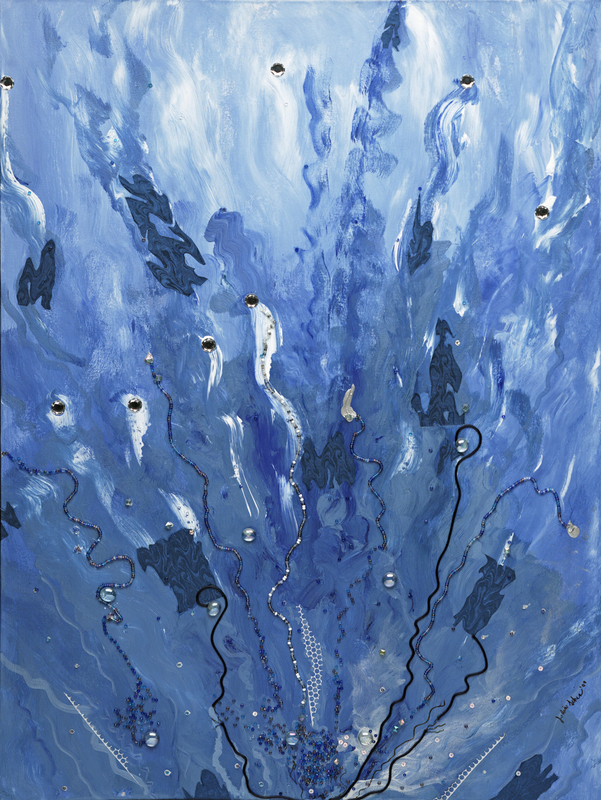 The painting lures viewers to dive into the turbulent waters and hang on to the silk strings, grab some hurling jewels and look at the faceted crystals flowing upwards from the bottom, as if refusing to sink into the abyss. Mirror-like pieces float about and whirling brush strokes surge upwards from a knot midpoint on the bottom. In the same way, when pain and suffering reach the physical, we must dive in deeply into the source of the hurt and find the jewels of possibility, so that we may emerge whole and healed and empowered to move forward on to the next cycle of our lives.